Dog Psychology 101 brings an amazing approach to canine behavior based on a natural, holistic, and most importantly, instinctual way of thinking. Our ultimate goal is educating people about the difference between Human Psychology & Dog Psychology, whilst providing a revolutionary method of dog training and behavior rehabilitation. The term “natural” typically refers to anything normally occurring in nature, independent of our human influence. Everyone wants everything to be as natural as possible these days. Natural food, natural parenting, and… natural dog behavior? Absolutely. As you dive into the psyche of your canine friend, we hope you are able to keep this idea of being “natural” in mind. For dogs, this refers to how they act when around other dogs and how they interpret the world before we impose our human interpretation onto them. Behaving naturally with your dog requires you to learn and understand as much as you can about the psychology of dogs. You must learn to honor your dog in his natural state and respect the way he sees the world. This is the only way we can build a relationship between human and dog. By seeing the world through their eyes, we build lifelong trust and a symbiotic partnership between ourselves and our dogs. More often than not we impose our own perspectives and experiences onto other people, and certainly, onto our pets. We see everything through our own eyes, after all, so it can be hard to imagine what someone else is experiencing, especially if they don’t even belong to our same species. We invite you to try, however. Try to see things through your dog’s eyes. Leave your human language, human habits, and human psychology behind for a while. Imagine what the world looks like through those playful puppy dog eyes and truly take into consideration how your actions impact their life and their happiness. It’s not fair to our dogs if we impose our human perspective on them, and this is the root of almost all the problems we see between people and their dogs. They are not humans and we shouldn’t treat them as if they are. We must see them for who and what they truly are. 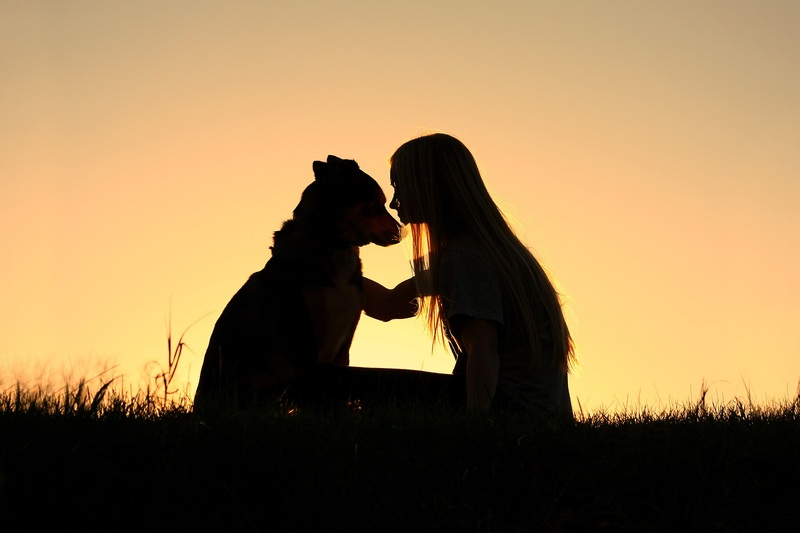 Behaving naturally with your dog is what allows them to live full, balanced lives. It may surprise you that this approach to dog psychology and behavior is actually quite common in other places around the world. It is however quite unique to the United States and other Western countries where we tend to treat our dogs like people rather than the wonderful animals they are. Most people treat dogs like children because they care for them so immensely. While we appreciate that this comes from a place of love, we also find it to be detrimental to the human-dog relationship and to the mental health of the dog. The key phrase here is “human-dog relationship”. It is a bond between a human and a dog, not a human and a human. By communicating with dogs on their level, in language they understand, we are able to truly connect with them and have a deep relationship based on respect and understanding. We use a lot of body language and pay a lot of attention to energy and the reactions the dog has to certain situations. Dogs are instinctual, reactionary animals. We are therefore very instinctual when working and living with dogs and communicate in a physical way that they understand. While we use body language to communicate with our dogs, we are never abusive and never aim to hurt any animal, especially the ones we love so dearly and share our life with. Physical communication is what dogs do and we honor our dogs by speaking their language. Many dog professionals find this to be “mean” but in reality we simply communicate in a way that makes sense to dogs, in the way that they communicate with each other. Animals want balance in life. 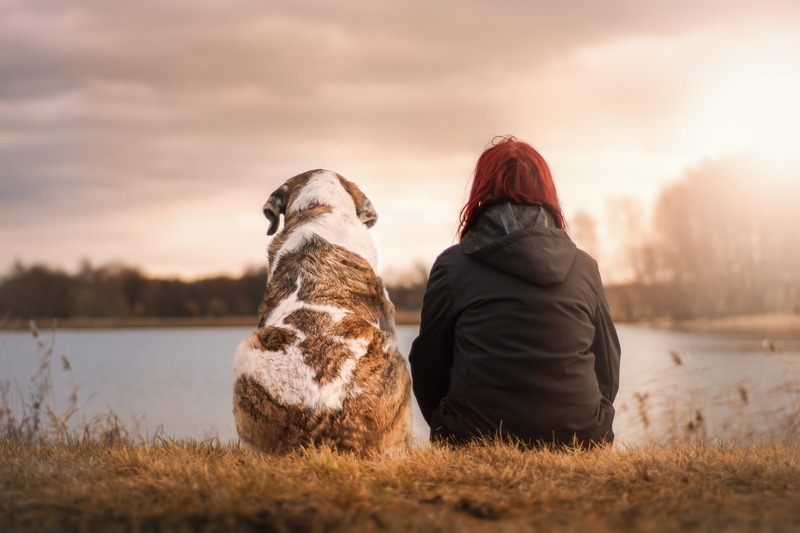 By being present with our dogs and learning how to think like our dogs, we can bring ourselves to a higher awareness of the world around us and become capable of living in the present moment. Seeing ourselves through our dog’s eyes can be a very enlightening experience. The joy of truly being in the present with our canine companions, in harmony as a pack unit, is one of the most rewarding experiences we can have as dog owners.